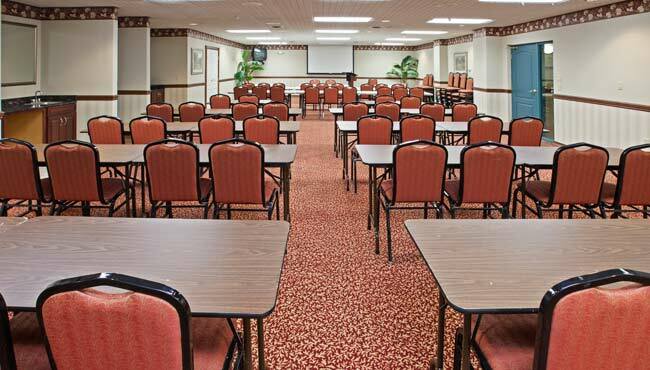 The Country Inn & Suites, Elkhart hotel’s meeting space is a fantastic venue for hosting your business function, team meeting or group event. Free high-speed Internet access allows meeting attendees to stay connected, available audiovisual equipment can enhance your presentation and the courteous hotel staff is available to assist with catering recommendations and room arrangements. For additional convenience, group room reservations are available. Contact the hotel or book your reservation online today. 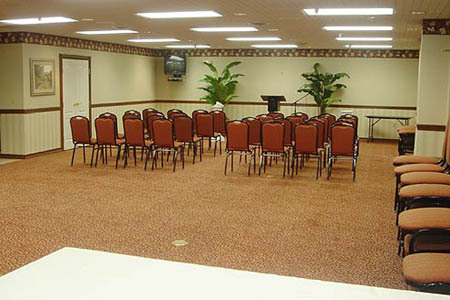 For more information about booking your event or to make hotel reservations in Elkhart, IN, please call the Country Inn & Suites Elkhart, IN hotel at +1 (574) 206-8488.